I donated the boat to a friends son and his girlfriend. 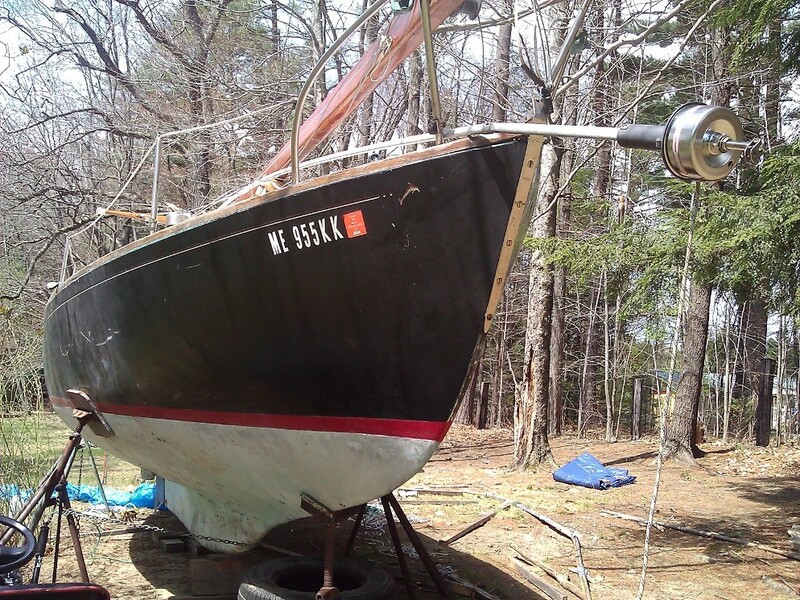 She is a lifetime sailor from Mount Desert Island and a marine engineer, having graduated from Maine Maritime Academy. Graham has his captain's license and worked on Casco Bay Lines ferries for eight years, before making a career change. 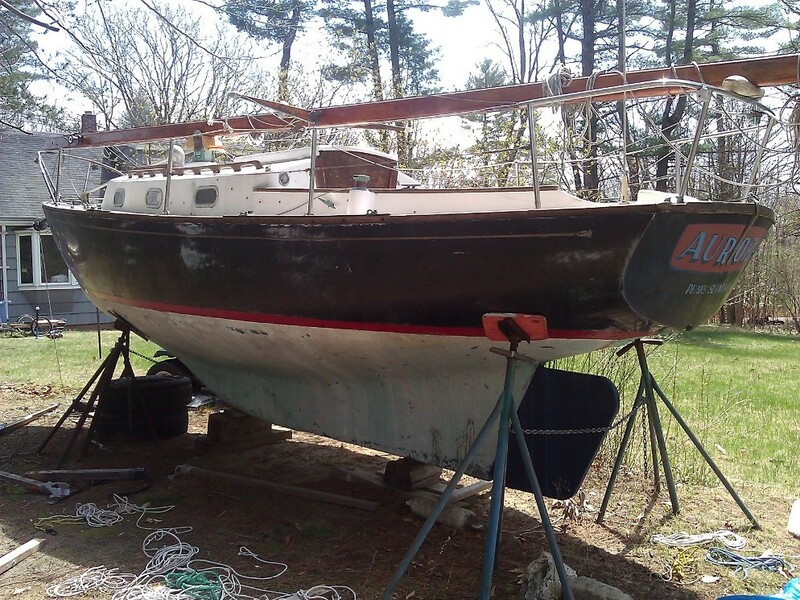 You may contact Ron and we can follow the restoration process. The donation was a combination of having to move the boat out of my father-in laws yard due to his house being under contract, and allowing this great young couple to obtain a solid boat they can sail the coast of Maine in. 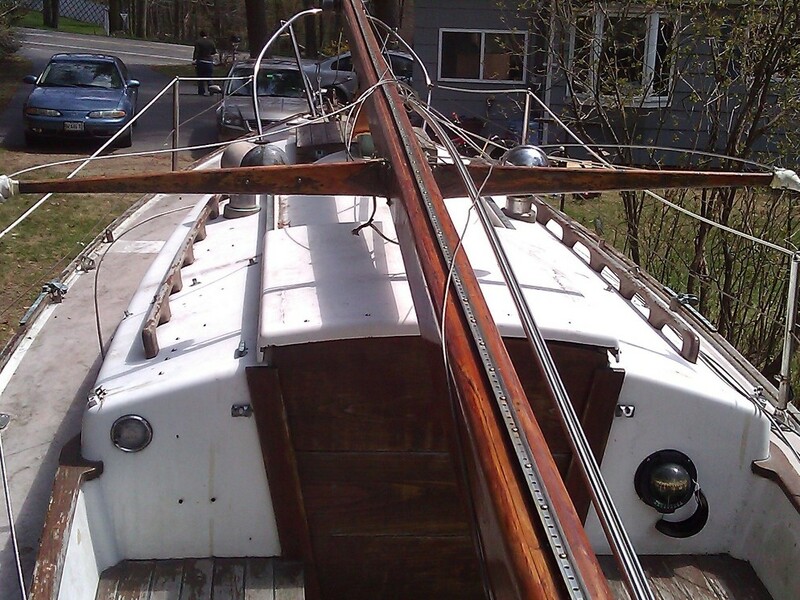 Heavily constructed fiberglass sloop with beautiful wood mast and boom. 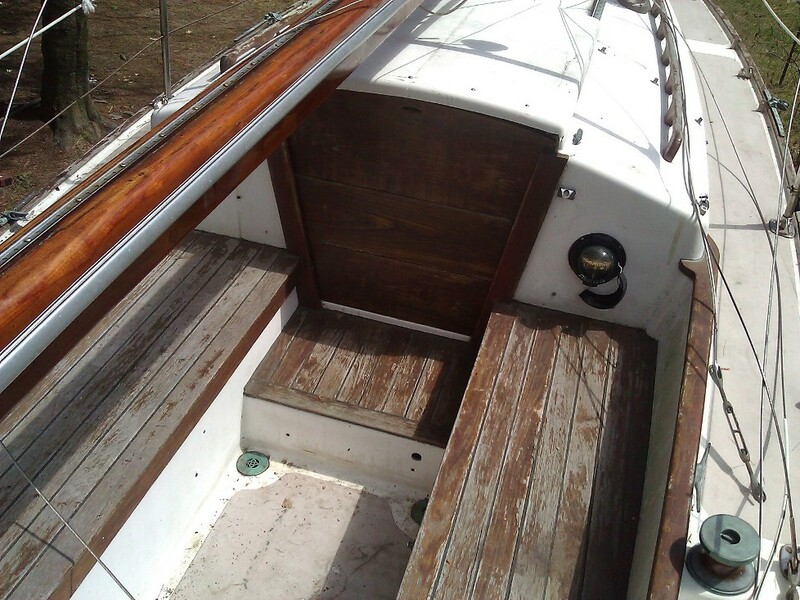 Teak cockpit, grab rails and forward hatch cover. Centerboard housed in keel with cable winch in cockpit. Suzuki 9.9 HP oil injected long shaft engine housed in well. Not used since last servicing in 2010. Two 3 gallon gas tanks, (no mix). Twenty gallon monel water tank forward under V-berth and 10 gallon monel tank under cockpit. 12 volt electrical system with fuse panel. 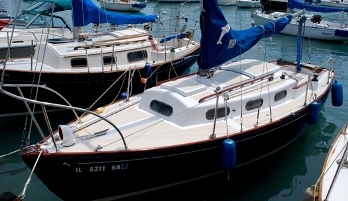 Sleeps four: two in V-berth and two aft 6' 6" berths. Cushions are in very good condition. 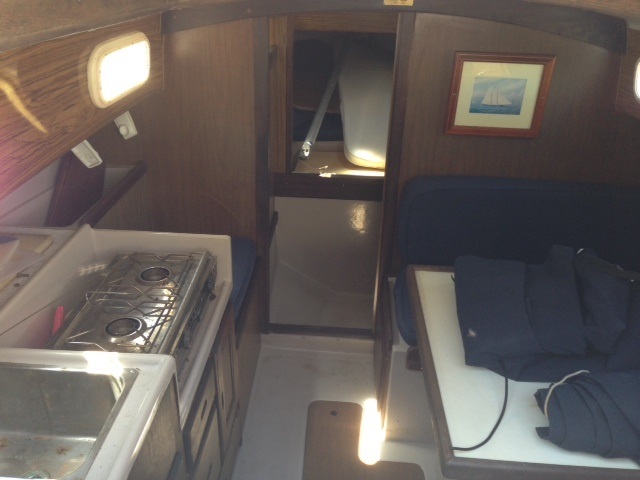 Table in galley area accommodates three and stows away under chart table. Small stainless steel wood stove and stainless steel chimney above deck. Gimbaled two burner alcohol cook stove. Pump water system to stainless sink. Mast is deck stepped in pivot tabernacle for easy step/ lowering. Harken roller furler for both jib and genoa. Sails by Hard are in average/good condition. Custom cockpit dodger in excellent condition. 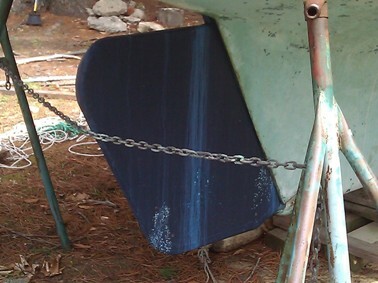 Brand new rudder fabricated in 2013. 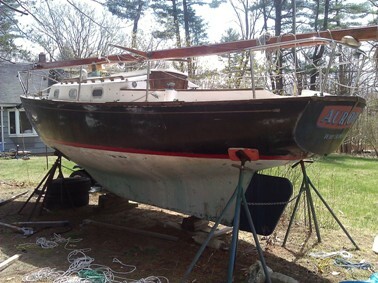 Boat overall condition is fair to good and could be in the water now. April 20, 2014. There comes a time when....and its come for Wally. Its time to sell Aurora. Here is his email (edited) More particulars to follow. It's that time of year again. Boats being hauled out of the yard and dusted off for the upcoming season. Unfortunately, Aurora will not be one of those boats this year. We are selling our island house and will not put the mooring in this year. 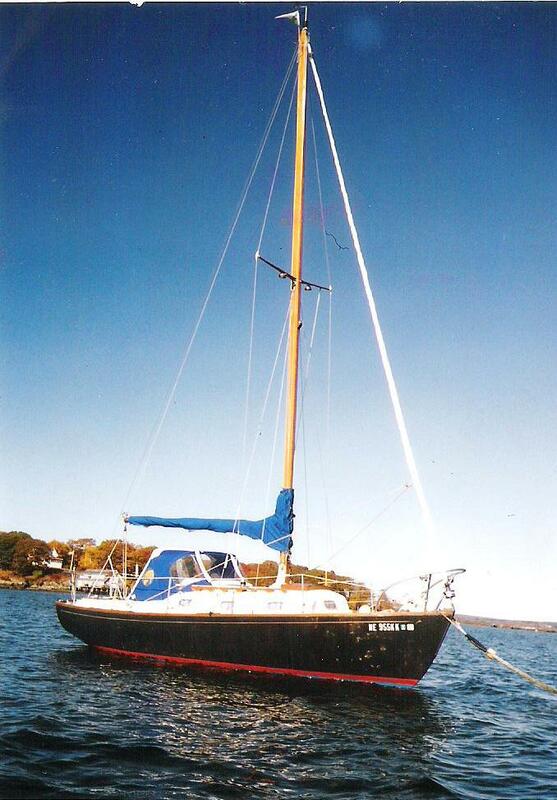 Because of our transition, and inability to sail Aurora on a regular basis, we have decided to put her up for sale. November 23, 2011. We first found out about this boat on February 13, 2009, thanks to Fred Gougen, whose Thankful was, at that time, also home ported at Peaks Island, Maine. We knew we had discovered a missing Dolphin but did not know exactly where she was. A couple of years later Wally decided he needed a sailboat and friends told him there was one at a marina not far away that he might check out. He went there to see it and, well, there she was, waiting. We reconnected with Wally by phone yesterday. 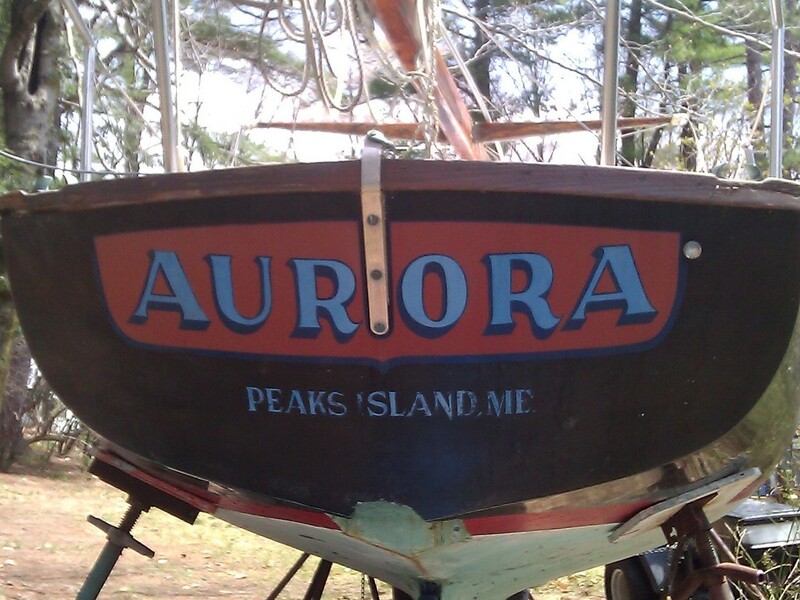 Aurora has been out of the water at his cottage on Peaks' Island for about 3 years. A new stainless steel rudder is on order. 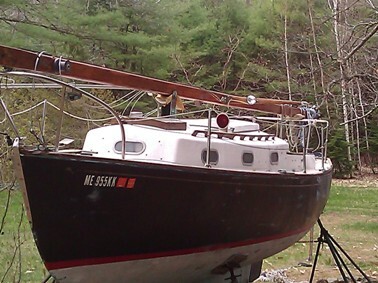 Aurora has a spruce mast, teak cockpit seats, a teak coaming, main hatch and hatch cover, and a 9.9 hp outboard in a transom well. The hull has been painted black, but may have been blue at some point in her past. When Wally bought her some 12 years ago her name was Aurora. July 29, 2012. We checked in with Wally. Aurora is not yet in the water as she had some problems with the fit of her new rudder. December 20, 2012. Previous owner Ned Shenton sent in a photo of Aurora he took when he had her. She sure looks like Harbor Rat, above, but we are pretty sure from Ned's pictures she is a Tripp built O'Day. Click here to go to Ned's Aurora. May 16, 2013. 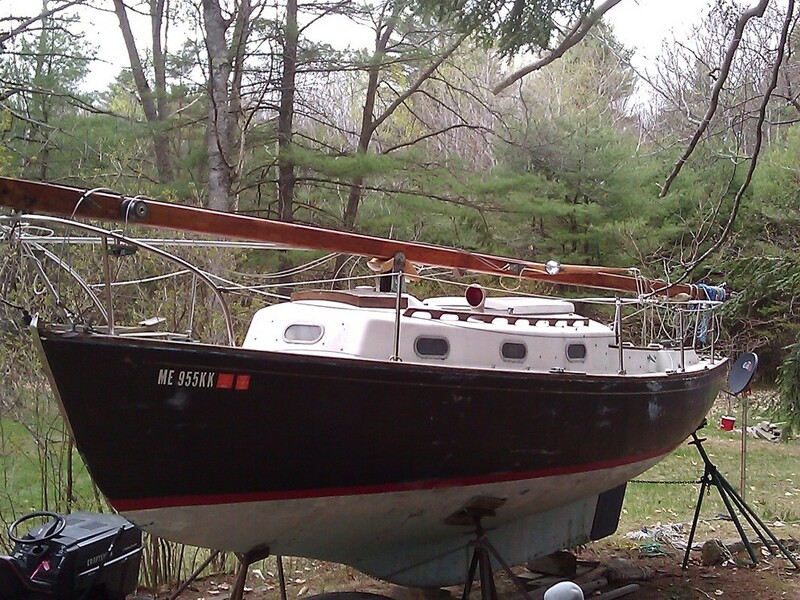 Wally Elsmore is working on his boat and sent in a group of pictures. Click on the picture to see larger images. Click the back arrow on your browser to get back here.